The bullion broke the upper trend line of the long term descending channel, which had pierced a dominant support level. 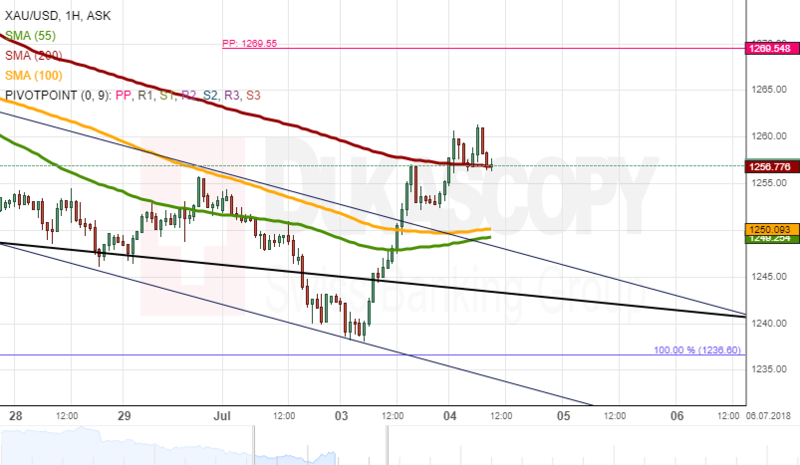 The most notable aspect about the move is that the bullion did not even stop at the 55 and 100–hour simple moving averages, which were providing resistance. Moreover, the upper trend line of the descending pattern was also ignored. Only the 200-hour SMA provided some sort of significance, as it forced a short lived retreat of the metal. On Wednesday, all attention was on whether the 200-SMA will provide enough support to push the rate up to the 1,270.00 mark.